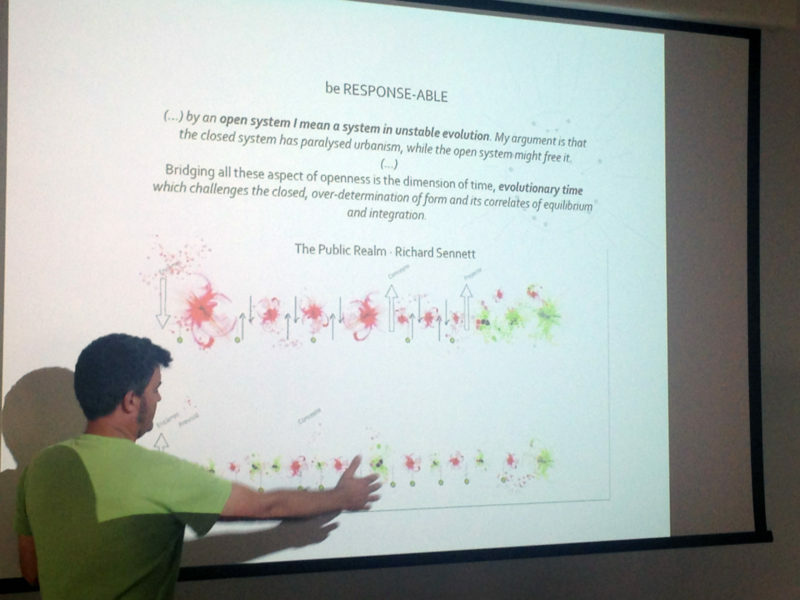 The Public Role of Design was the title of the ADAPT-r day hosted by RMIT Europe on July 5, 2016. The aim was to offer offer insights into the public voices and roles of practitioners across Europe, revealing the diversity of practices and multiple voices in the contemporary city. The public voice is the medium used by practitioners to express and reveal their specificity, role, and positioning within society. It is an authentic singular voice and the language the practitioners use to communicate and articulate their tacit knowledge. Presentations were made by ADAPT-r fellows Karin Helms, Martí Franch Batllori, Siobhán Ní Éanaigh and Dermot Foley as well as local practitioners Enric Batlle from Batlle i Roig Arquitectes, Javier Fraga Cadórniga from Raons Públiques and Enriqueta Llabres and Eduardo Rico from London studio Relational Urbanism. 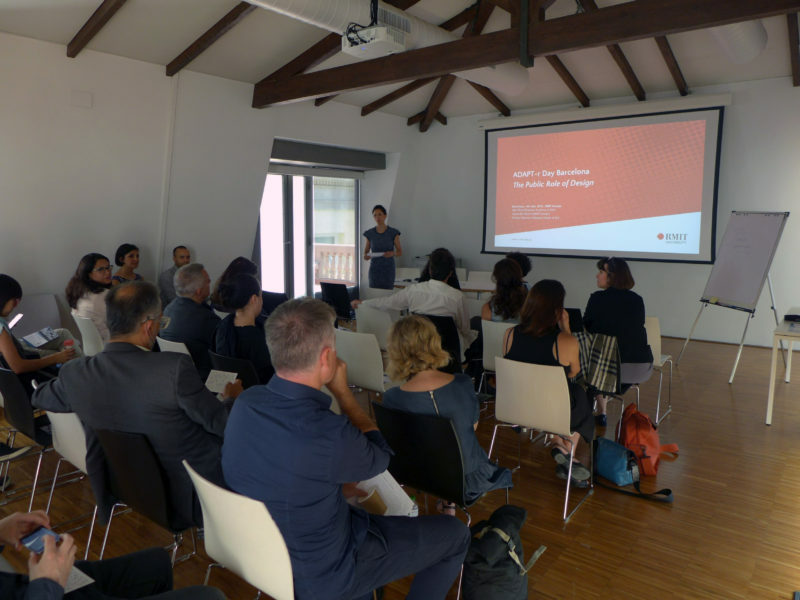 The ADAPT-r day was framed by introductions by ADAPT-r experienced researchers Cecilia de Marinis, Alice Buoli and Dorotea Ottaviani and followed by vivid discussions over tapas and drinks in the courtyard at RMIT Europe.